Charlie's racehorse has certainly earned the name Noble Warrior: he won the Derby against all odds and bested a bunch of nasty kidnappers. But now Noddy is facing his greatest challenge yet . . . Charlie's best friend Polly is still recovering from an accident that left her almos... read full description below. Charlie's racehorse has certainly earned the name Noble Warrior: he won the Derby against all odds and bested a bunch of nasty kidnappers. But now Noddy is facing his greatest challenge yet . . . Charlie's best friend Polly is still recovering from an accident that left her almost paralysed. 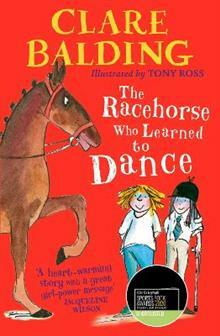 But Polly has a real talent with horses - and she and Charlie are determined not to let it go to waste. Can the two best friends find a way to make Polly's equestrian dreams come true, and forge a new path for the racehorse who wouldn't gallop? When she was young, Clare Balding thought she was a dog. Disappointed to discover she was only human, she did her best to spend every waking hour with dogs and ponies. She could ride before she could walk and, growing up surrounded by racehorses trained by her father, she dreamt of winning the Grand National or riding for Great Britain at the Olympics. Those dreams never came true but the consolation prize hasn't been bad. As a television and radio presenter, Clare has worked at six Olympic Games, the highlight being London 2012, as well as the Winter Olympics, Paralympics, Commonwealth Games, the Grand National, Royal Ascot, Wimbledon and the Ryder Cup. Clare lives in London with her wife, Alice, and their very naughty dog, Archie.